Skip to the bottom for details about KeyHub. I love creating libraries; building high-end components that other developers can leverage. Why? Because my efforts will enable more progress than I could directly create myself. But open-source typically means free. How do open-source library developers survive? Here are a few common patterns I've seen in open-source projects. Weekender - A project small enough that occasional weekends by one developer can keep it maintained and high-quality. Orthogonal - A project whose development was funded by a OSS-friendly business with an unrelated profit model. Bazaar - A project with immense reach and a sufficient number of contributors that progress arises from the chaos. Linux used to be an example, although it's now also an example of #4 and #2. Support-based - A project sufficiently complicated to use/integrate that a large number of users will require support. Support contracts are the only viable option here; support incidents NEVER pay for themselves, let alone product development. Service bundling - Mozilla Foundation & Firefox are good examples of this; Google provides 85% of their annual income in exchange for being the default search engine. AWSSDK and Heroku Toolbelt are good examples of libraries with this model. Donation-ware - Wikipedia manages to sustain itself and MediaWiki through donations, although being the 6th most popular website in the world makes this quite a bit more feasible than your average app or library. Weekender projects can't have a large scope; or if they do, they need to use low-friction technology. There are lots of Weekender micro-CMSes in Ruby, while very few are maintained for .NET. Orthogonal - By the nature of their orthogonality, there is little motivation for continued public maintenance after the first stable release. If properly advertised these sometimes transition to Bazaar, although more frequently they become Weekender projects or join the Unmaintained. Bazaar - Libraries require absolute backwards-compatibility and API consistency. While a large volume of pull requests is helpful, the lion's share of work still falls on the official maintainer even if they're only writing unit tests and documentation. Corporate sponsorship (Orthogonal) is nearly always required, but is rare in the .NET space. Support-based projects need a critical mass and a minimum quantity of enterprise eyeballs before the first dollar can arrive. There's a huge gap between Weekender and Support-based project sizes, making the transition impossible for most. Service bundling works great if you're offering SaaS interface libraries. If your library works 'offline' (as most do), this isn't really an option. Orthogonal projects your boss or client has allowed you to open-source. You'll probably make a Weekender out if it, if it's small enough, and you care enough. Neither of these options offers a profit model, neither has a path to scale. Getting them large enough to transition to Support-based can take 4-6 years (in my experience), and requires a massive financial investment. For small projects a profit model isn't necessary. But when a project requires more than 25 hours from the maintainer per week, there's no light at the end of the tunnel. You can't offer support guarantees or contracts unless you're in control of your own time and employment. Also - what if you WANT to focus on developing libraries full-time instead of orthogonal apps or services; what if library development is your goal? Solutions to tricky problems generally require a substantial amount of code. It's an inherent trait of software; the easy problems don't need libraries very badly, while the hard problems simply can't be solved without componentization. If you're solving a end-user need, there are easier paths to profitability. If you're just solving a 'tricky' or 'painful' developer need, you're probably in the software Middle Class. Most progress happens in the middle class; our applications are limited by the quality of the platform stack they use. As libraries harden and evolve, they continually form new layers in the application stack, and have historically moved down into the OS, windowing system, and browser. Unfortunately, Orthogonal software is rarely great quality. Focus is rarely on the API, but rather on solving the particular itch of the business itself. Most of the great advances I've seen have come from Weekender projects which took risky, radical approaches to solving big problems. Open-source and .NET haven't been friends very long, and while there is definite growth from the Nordic regions and with certain applications (Umbraco, ServiceStack, Json.NET), CodePlex is overall a depressing graveyard of unmaintained, non-functional libraries that were once cared for and once worked. There's a strong social component to the abandonment here as well; users of .NET OSS libraries tend to forget that the developer is doing this for free, and browsing the Issue Tracker or Discussions page will inevitably turn up absurd scenarios. I'm sure cultural differences are also a contributing factor here; what US developers consider rude, impolite, and demanding may be socially acceptable in some countries nearer to the 17th parallel. OSS purists might stone me, but I think the following compromise could enable hundreds of failing .NET OSS projects to survive and eventually transition to a Support-based model. Users will be legally permitted to remove the DRM and use it for free, and even branch the project and publish a DRM free version. To preserve income, the official maintainer only needs to maintain better SEO ranking and better code quality than the derivative branches. License key enforcement should be 'light' - just watermarking or displaying an advertisement. The .NET space is unique among communities for its general unwillingness to ever (re)build from source code or make edits to existing projects. We can turn this 'bad side' into an advantage. .NET developers aren't typically morally opposed to license keys, they just wisely avoid using closed-source software with them. If presented correctly and clearly, I don't think many .NET developers would react badly to OSS+license keys. 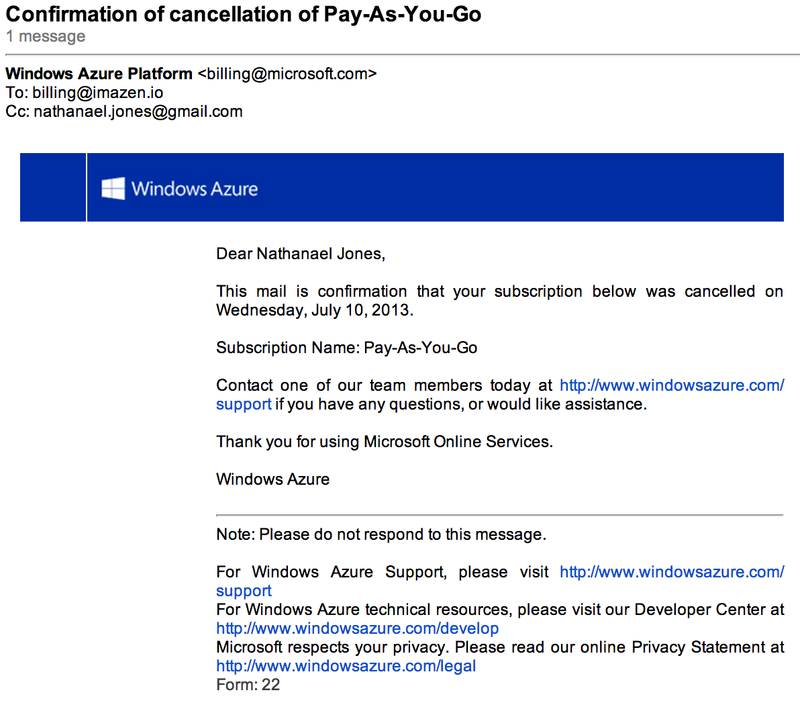 .NET businesses are already conditioned to pay for components. NuGet distributes binaries, not source code. But how can you do DRM in open-source? But with 256-bit asymmetric encryption, you can eliminate keygen cracks, making it impossible to trick the stock binaries or NuGet packages. Aren't using .NET or something very similar in culture and community. Already have a large user base. It's better to stretch for the support contract model than to risk alienating your entire customer base. Writing your own license that's incompatible with OSS licenses. Licensing portals are notoriously painful — both for end-users and the maintainers. Typically, they're far out of reach for small companies, let alone individuals. That's where KeyHub (Apache licensed) comes in. KeyHub combines OpenId/OAuth login (no password required) with 2 great license key models: permanent offline keys (asymmetric encryption), and floating (online) keys. Keep everyone happy by letting them choose between convenience and offline support. Our intended launch date was over a year ago, but due to severe issues with Azure, it got delayed yet again. It's now ready for alpha testing, and we'd like your help. To make KeyHub successful, we need to find 7+ individuals or businesses that will commit to its use and maintainance. If you're paying exorbiant fees for an ancient, closed-source licensing system, this is a great time to consider an exit. KeyHub is designed to support multiple vendors per application, and lends itself to a hosted scenario. Using shared infrastructure (CI, SQL, load balancing, fault tolerance, etc), we can make KeyHub both practical and reliable. KeyHub offers a streamlined user and vendor experience that will reduce your pain. Join us in making keyhub.org a reality. Contact me, or send a pull request. Skip this if you're not in a philosophical mood. It's a 1000-word soliloquy about personal goals and regrets. Also, despite the next section, I am pro-Microsoft. My personal goal is to make developers happier and more effective on whichever platform(s) allow me to do so. Also, vendor loyalism in software often hurts the vendor - insular feedback is tremendously destructive. During my pre-2008 loyalist phase, I wasted precious years struggling with sub-par tools and writing mountains of boilerplate code. I trusted my peers (and even — foolishly — technical evangelists who've since moved on) to know which tools were best — after all, they'd been in the business much longer than I. In defense of my peers and I; when one works exclusively on a platform of black boxes, guessing only through inference of results how they operate, one tends to stop questioning the manufacturer's guidance. Belief systems usually form, evidenced by code rituals and cargo-cult behavior. Shotgun programming proliferates, and manufacturer advertising is absorbed as if it were truth. Logic, without good data, is useless to every mind. Software, without source code, is an endless quantity of bad data. Demand source code for everything you touch. As the depth of the software stack increases, vendors who don't provide source code and transparency will reach a paralysis point. Our planet is being revolutionized by software, but in a horrifically primitive way. Man-decades (sometimes centuries) of human creativity — per business — are spent to reinvent line-of-business software, which is used improperly (if at all) by a handful of people, and thrown away after a few years. Meanwhile, projects and organizations with a demonstrably positive influence on the world struggle to accomplish their (often unique) software goals. Despite an explosion in the number of software developers in the last two decades, very little has changed about what wastes our time and energy. For a profession that builds its own tools, it's extremely shaming that leaky abstractions are still so prevalent and that code reuse is so rare. As developers, we tend to pour our mental energy and health into our work, leaving us so mentally drained that we are often ineffective at life itself. I admire and envy those who balance work and life easily, who can leave problem-solving at work. I've never been able to. I shower thinking of algorithms. I shave while trying to simplify interfaces or APIs. To expel a problem from my brain, I have to read an extremely absorbing book — or replace it with a better problem. Based on those I've met, I don't think a healthy balance is the norm for software engineers. Software has a human cost, but that cost is different for everyone. For me, it first struck after 4 years as a paid developer. I was 18. I take 4 medications and 5 supplements every morning as a result. My eyesight is slowly worsening. My daily visits to the gym are driven by my desperation to recover; to be around when my son is grown. Minutes in which I have mental energy to expend are precious to me now; I don't take an hour of coding for granted. No sum of money could justify what I (or countless others) have put into software. Our best hope to balance the scales is to translate our past, present, and future time into as much net happiness for others as we can. I can't force the world to adopt or create open-source. Economics (at best) suggests a slow erosion of proprietary systems, but at the current rate it could be decades before we see code reuse exceed duplication — if such a thing occurs. The sheer demand for software developers is also two-edged sword. It raises salaries, but also makes it that much harder to fund software that doesn't generate revenue. Open-source tackles waste head-on, often fighting against massive advertising budgets with only agility and developer altruism. And somehow, it's winning against more wasteful models. I think many confuse the enemy here. It's not Microsoft, not Apple, not closed-source software. It's waste itself. Our enemy is the squandering of human creativity, the art burning in piles of discarded one-use software. To me, the Apache and MIT/BSD licenses are the most effective at reducing waste. I can't find the GPL attractive. What benefit can be had by preventing closed-source programs from using your library? Developers aren't in charge of business decisions; they're just trying to get their job done. They're probably more grateful than most for what you've built, and almost as likely to contribute back. Excluding the average developer doesn't help you, them, or anyone. There is no war between open and closed source software; only against waste. Lacking influence or riches, I focus on building tools. I patch (and build) libraries to save developers time and frustration. You should, too. Good ideas are contagious, even when implemented in the briefest manner possible. Show just one person what could be, and soon it will be what is. Simplify the complex. Eliminate leaky abstractions. Reduce code noise. Automate the mundane. Help developers focus on the unique parts of their challenges, and you've multiplied how much they can accomplish with their time. Remove useless disruptions so they can spend more time in the flow, and you've made them happier people (clinically proven). Flow is one of the primary causes of happiness; leaky abstractions make it harder to be happy. This is a goal every developer can achieve. Fixing a bug might save 100 people 30 minutes of frustration. That's a massive win in terms of net happiness, even if it was hard for you. Just the psychological effect of a pull request is enormous to a library developer. It's a concrete validation that their library is useful, worthwhile. And as an extension, that they have been. Select your tools with ruthlessness; repair them with consideration. Require source code to everything you touch. Optimize for net happiness.